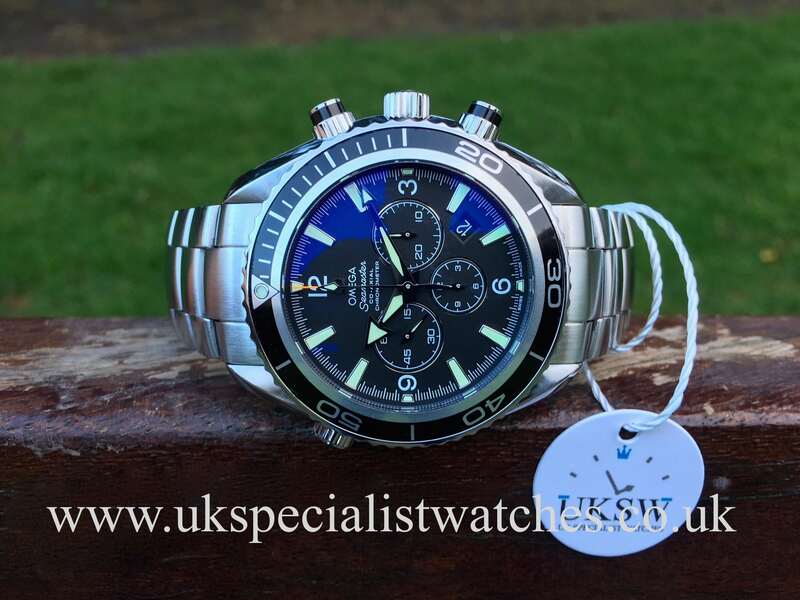 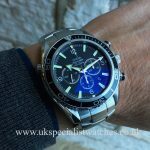 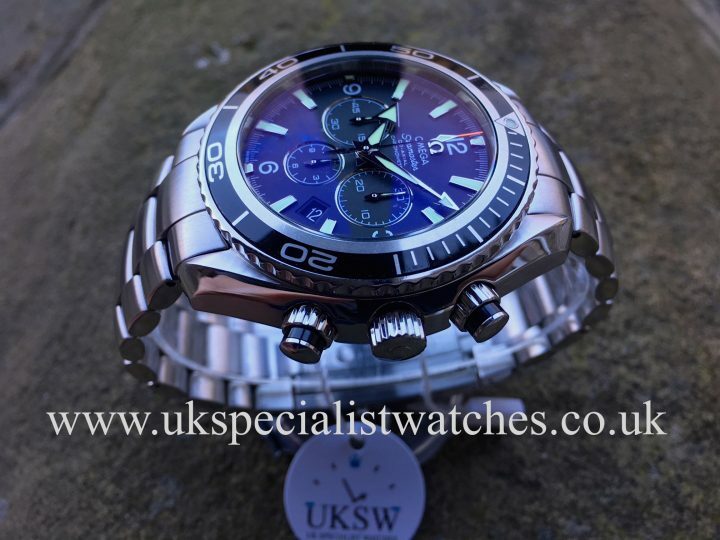 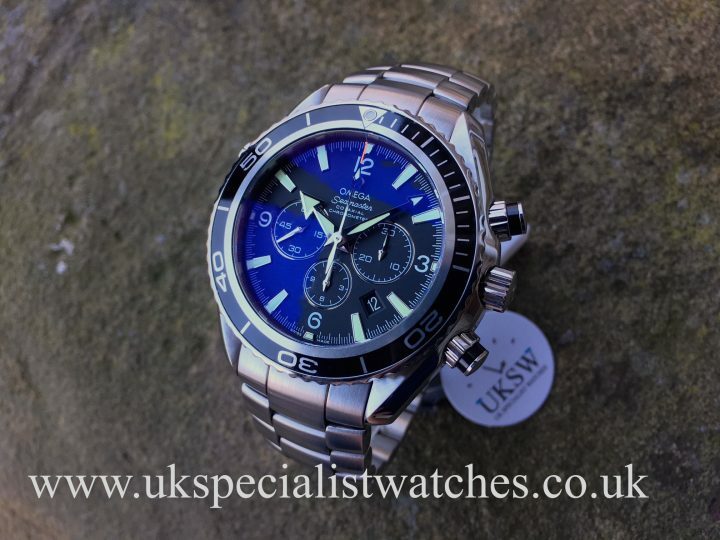 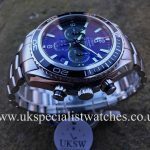 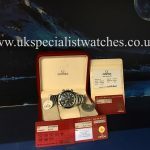 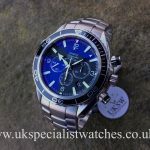 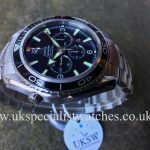 Omega Seamaster Planet Ocean Chronograph 2210.50.00. 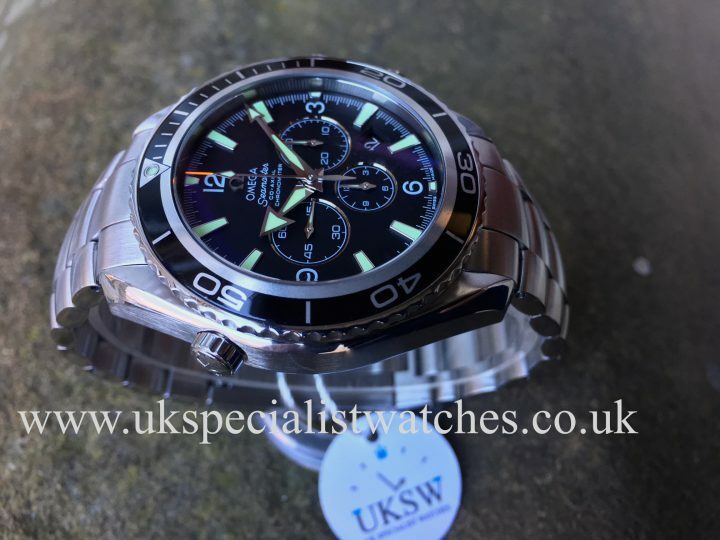 With the larger 45.5 mm steel case, Charcoal dial with 3 chrono sub dials, luminous hands and hour markers, stainless steel bezel with black insert. Water resistant to 600 meters. 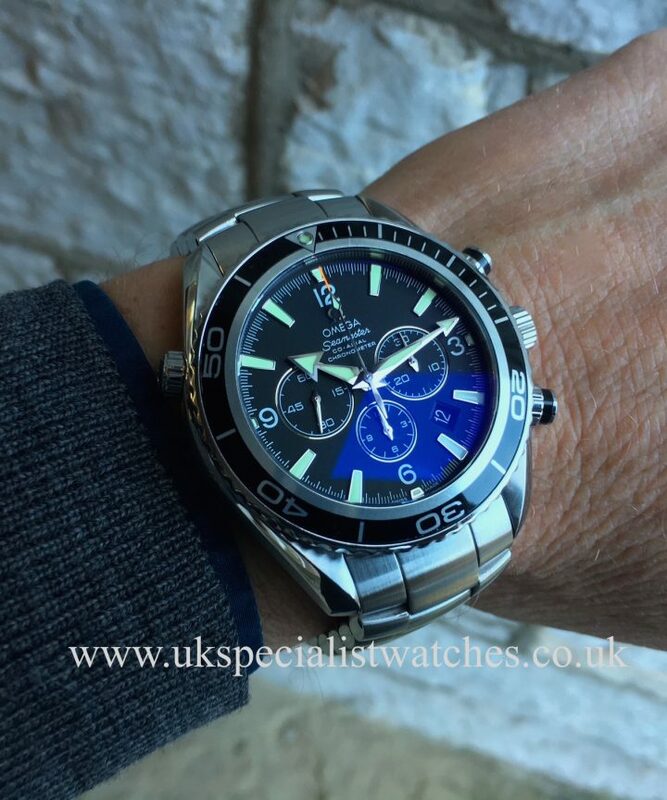 Powered by an automatic Omega 3313C chronograph movement with a 52 hour power reserve. 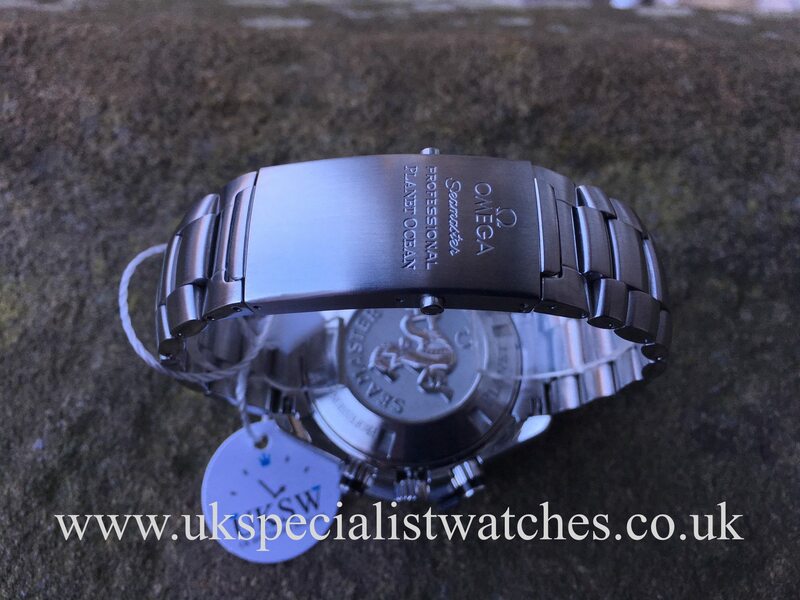 Fitted to a very sturdy stainless steel Omega bracelet with divers extension link and double folding clasp. 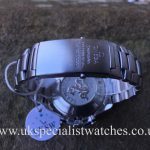 This watch represents fantastic value for money when you compare it to a Rolex equivalent! Comes complete with Box and all warranty cards dated 3/8/09. 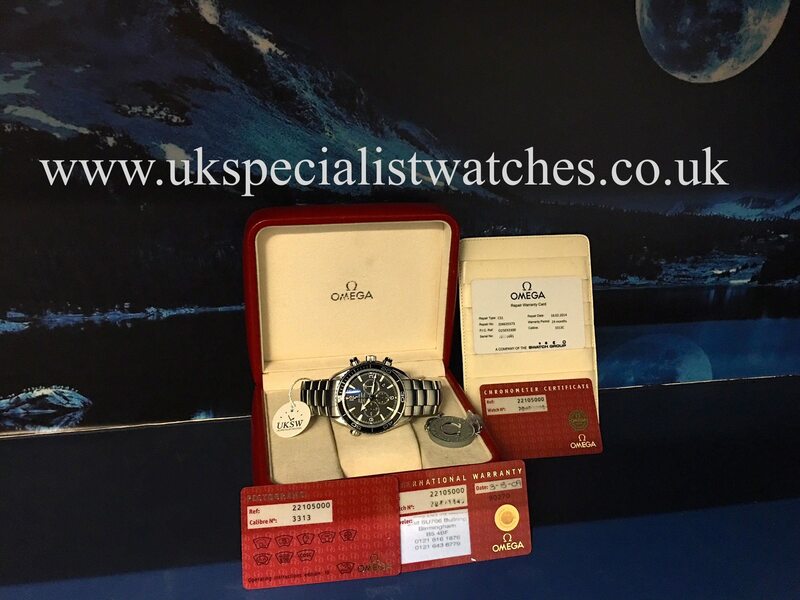 Also Omega service card Serviced by Omega UK on 18/2/14.